With today’s technology, it may only seem sensible to learn basic coding in dealing with most Internet related activities. Kids are growing up with technology and it’s hard to ignore this fact. So should you join in for the next coding class? In the world of computer language, codes are essential to get you from point A to point Z. This is the basic language that your computer, mobile, tablet and other devices use to send through information. And just like there are various languages spoken all around the world, so does coding. There has been quite a demand for web programmers and designers lately, so it could be possible that your local college may be offering programming seminars or workshops. Or you can opt to learn it for free and just search Google and YouTube to get into the basics. You’ll need to understand these two coding conditionals: ‘if’ and ‘for’. These are the ‘lingos’ used in dealing with basic programming conditionals. When you get to understand the concept behind conditionals, you’ll be able to pinpoint what went wrong with the program and bugs that occurred. These are the HTML and CSS codes that you may encounter when working with WordPress or other content related sites where you get to insert links, videos and even images. Similar to learning new language, it will get you through to some common tasks you’ll encounter when handling Internet-based tasks such as marketing or campaign management. When you’re into marketing, you may encounter any of these jargons: A/B test, analyze, landing pages and optimization. 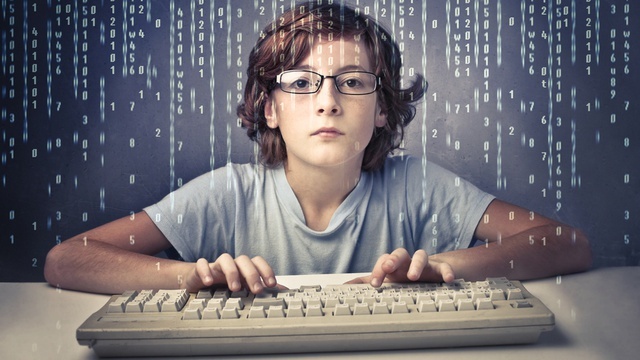 Just like math and science, coding has a way of testing ideas and solving problems. Though you may not be an expert in this field, learning the basics certainly exercises this part of your brain. The world we live today have been dominated with software that automates the job for you, so learning these basic codes will prove to be beneficial in handling small fixes. Following the trend may not necessarily mean you’re in it for success. Since the boom of ‘dropout CEO’s’, it has crawled into the mind of many kids today that it’s okay to follow this path. This is simply a bad way to take success in the tech community. Or you could be checking this off your list just because you’re finishing off a requirement in school or as an addition to your resume. However, consider that it takes years of commitment to become a successful web programmer. On the lighter note, building early prototypes may prove to be a good way to experiment on your ideas. If you think that your idea may turn into a workable one, there’s a great chance that it will turn into a reality. Also, should you plan to launch a product in the future, you’ll have more understanding on how it works. If your site experience any glitches, you can easily dig into to the codes and look for the answer. Learning these basic codes is beneficial in the long run, especially if your job requires you to take on Internet activities. Since it’s an inescapable fact, HTML and CSS codes are primary topics you’ll need to get your hands into. And from there, you can progress further should you want to have a more in-depth understanding about web development. Of course, let’s not forget commitment and persistence to the mix. You can never go wrong with these.